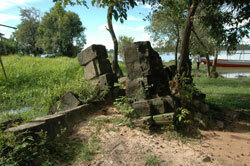 Ruins of the central island temple of the West Baray. 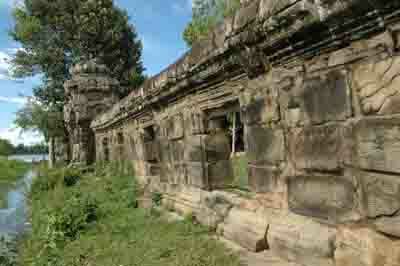 West Mebon is in poor shape, consisting primarily of a single wall displaying some carvings in fair condition. 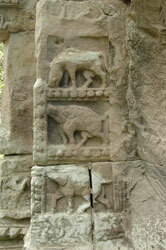 The carvings exhibit some of the first examples of carvings of animals in natural, non-mythological scenes, reminiscent of carving on Bapuon. 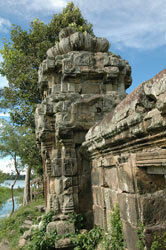 West Mebon may have originally housed a renowned bronze Buddha statue which is now held at the National Museum in Phnom Penh. 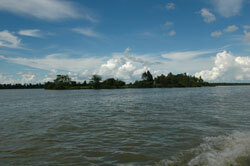 The West Baray, though ancient, is filled with water year round and has become a local recreational area. 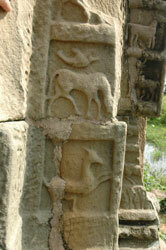 Take route #6 west from town. 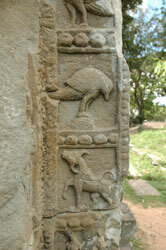 Turn right about 3 km past the airport turnoff. 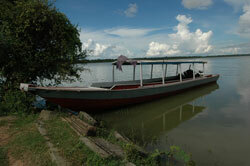 A short boat ride is necessary to visit the ruins.